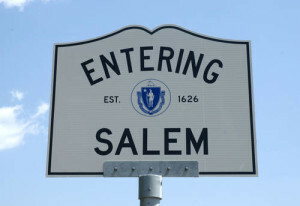 If you live in Salem, MA and have a pest problem at your business or residence then you’ve come to the right place! B & B Pest Control has been servicing Salem, MA and the surrounding areas for over 30+ years. Our team of dedicated technicians (with over 100+ years of combined experience) are more than happy to inspect and treat your place at just a moment’s notice. With offices located in Danvers, Salem and Lynn we are just a call away! B & B Pest Control has technicians who live in and around the areas of Salem. Having technicians who live in your area gives us an advantage of knowing all about the pests you are having problems with as well as their habits. With Cutting edge technology and techniques we will combat your pest problems at an affordable low cost to you. Our technicians are on call and available to answer any questions 24 hours a day! Call us today at (978) 745-7744 for a free quote or estimate!